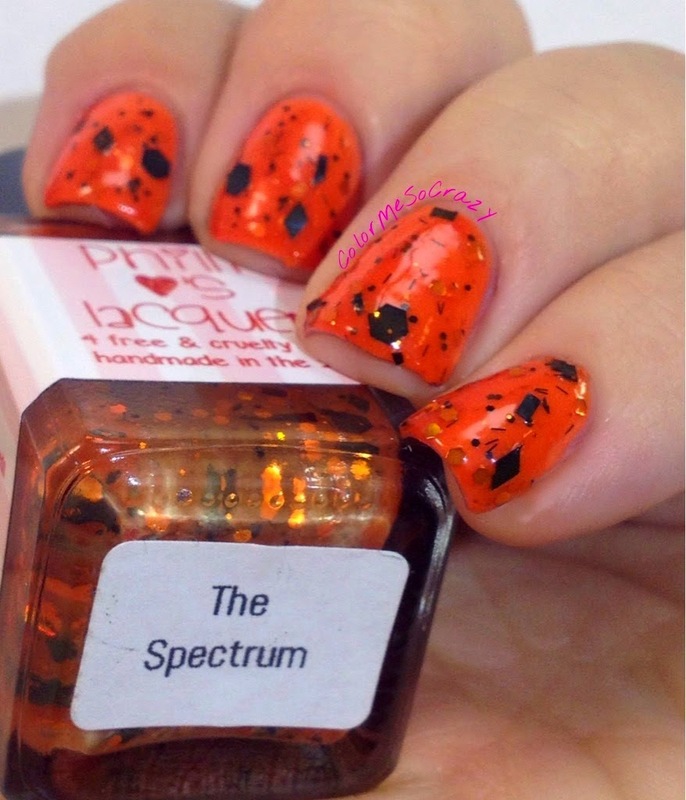 I have put together swatches of ALL (minus the ones I have already posted about) of the Halloween polishes I own for a special Halloween Extravaganza!! Enjoy and have a VERRRRRYYY spectacular Trick or Treat!! 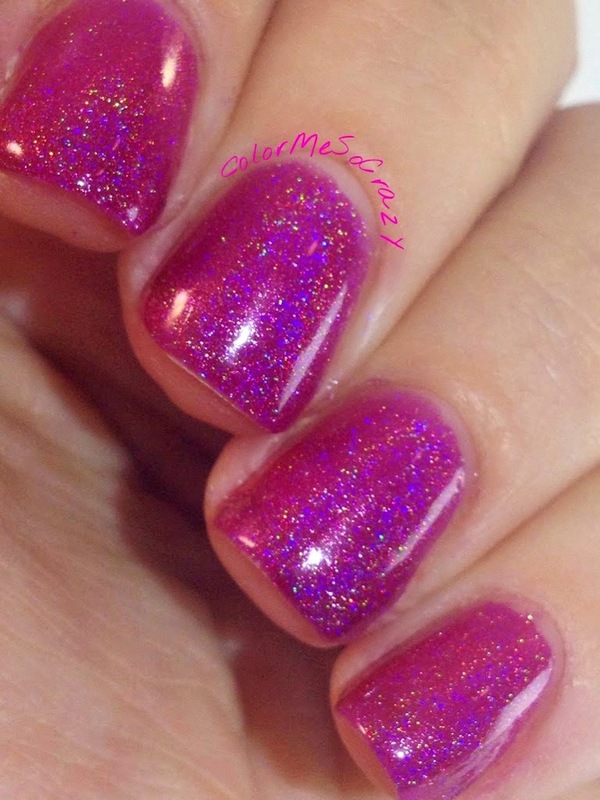 This is a linear holo jelly that is a raspberry color. I have this for about a year now and it still applies beautifully. I know, I know. This is from a St. Patricks Day collection, but this also reminds me of the witches cauldron, so I put it in this round-up. So, you will see it now and again in a couple months. 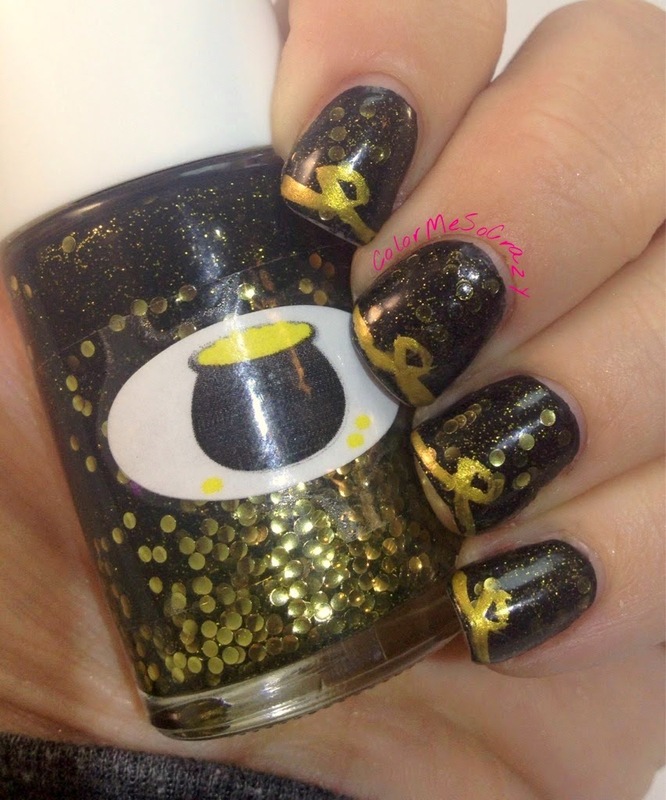 This is a black jelly with gold circle glitters. I did two coats of this polish on top of Sally Hansen. 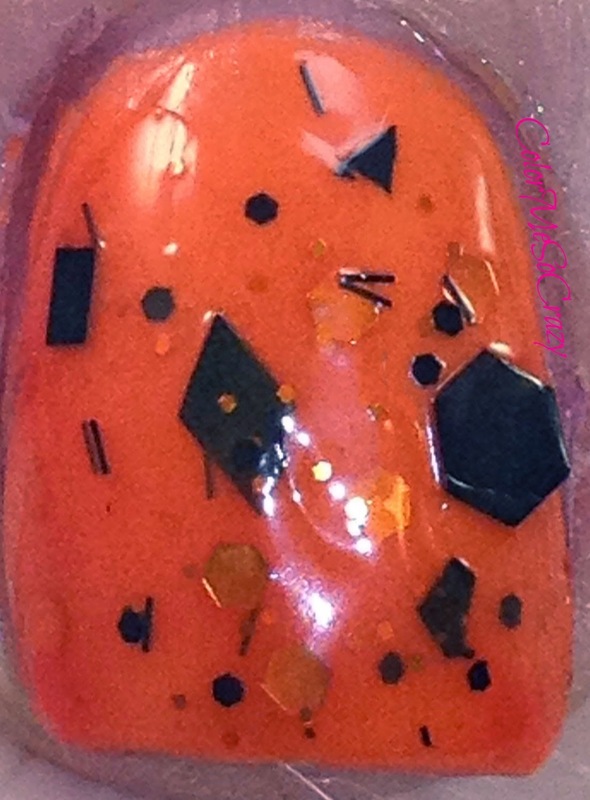 This is an orange jelly with orange and black micro hexes, bars, stars, dots, fine micro glitters, and holo hexes. 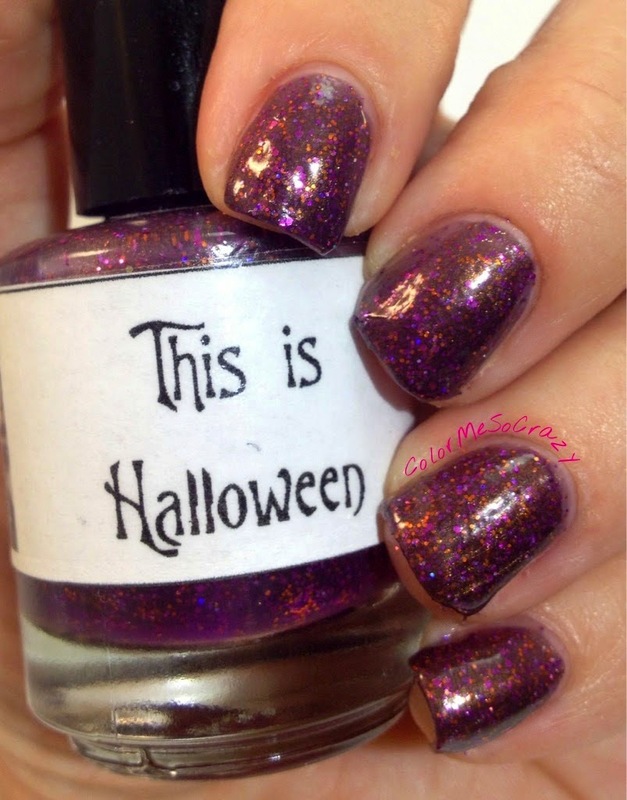 This polish is an eggplant sort of deep purple with lots of purple and orange small micro glitters. 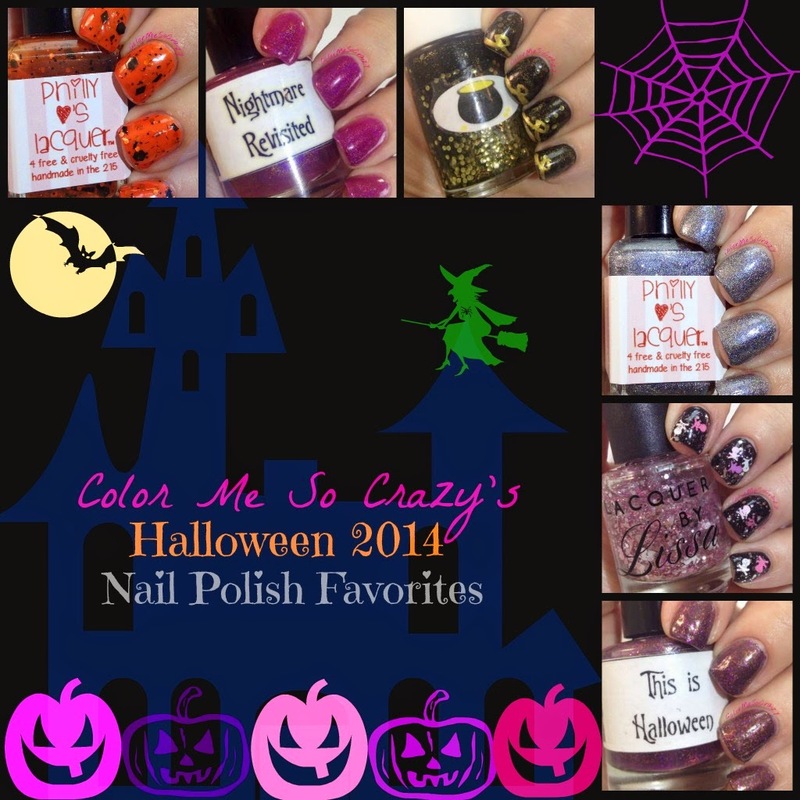 I used about 3 coats in these pictures and topped off some bares spaces with a forth. 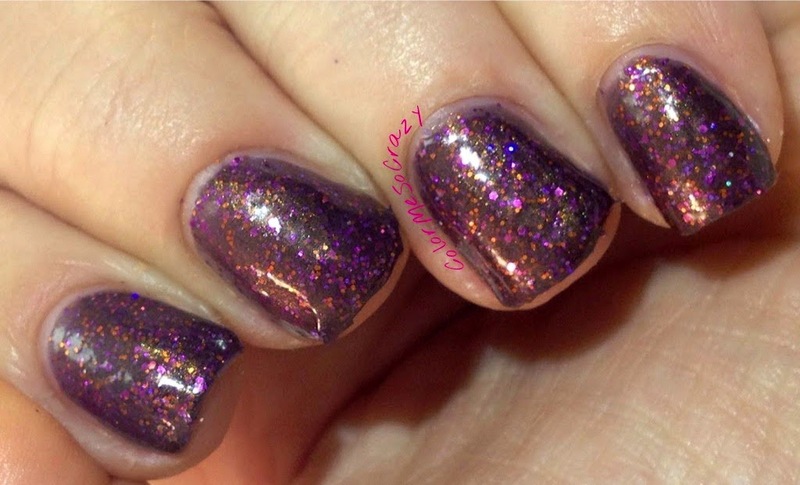 This is a steely scattered grey holo polish. 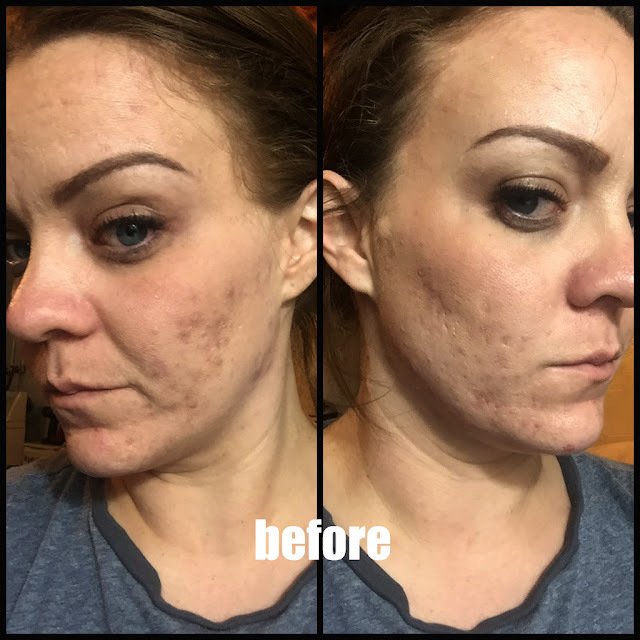 I used 2 coats which pretty much covered it all. 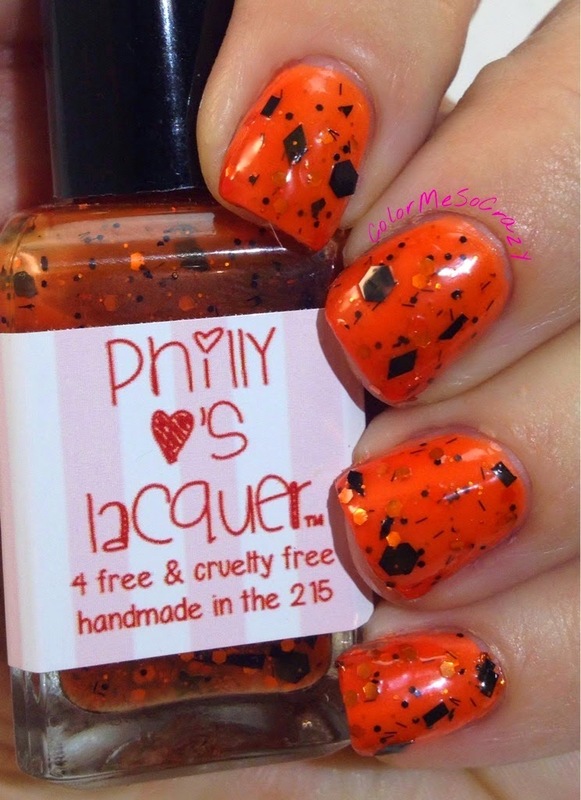 The funny thing about both of the Philly Love's Polishes that I featured on here is that I cannot find them ANYWHERE else. Like I am pretty sure I am the only one that owns them. Does anyone have either of these?? 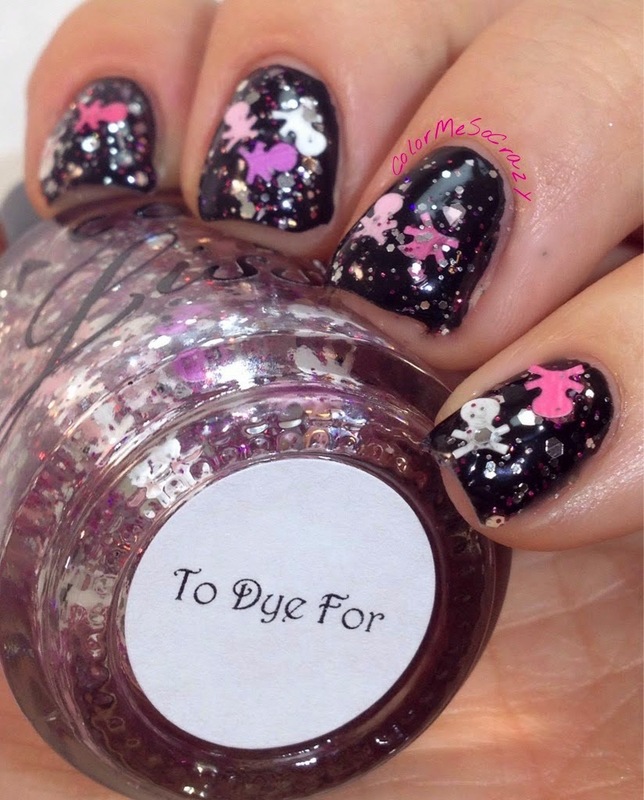 This polish is a clear base with purple, white, pink, light pink skulls and a variety of shards, dots, micros and hexes of pink, silver, white and holo. 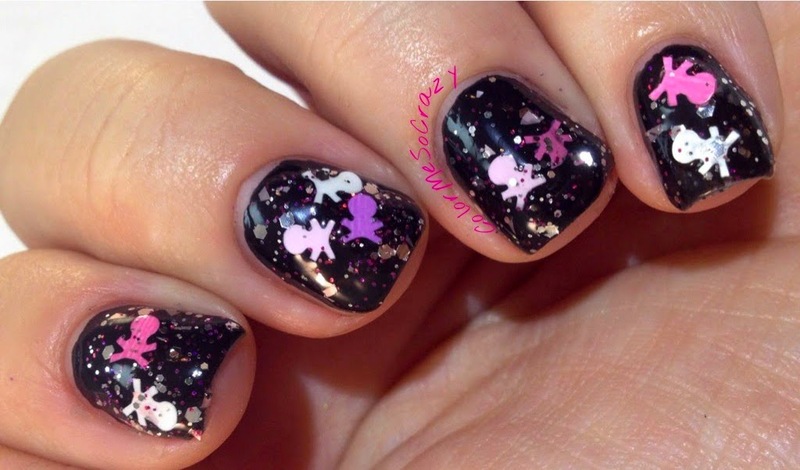 Super cute and super hard polish at the same time.